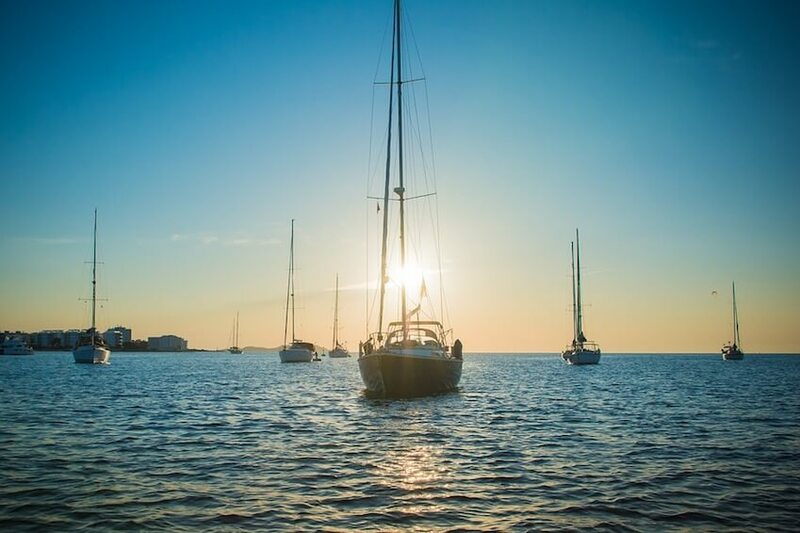 The island of Ibiza is cosmopolitan, multicultural and offers a wide range of activities for young and old, for city dwellers and hikers, for those thirsty for culture and clubbers of all horizons. Whether you go with family, friends, solo or in love, you will find the perfect sites for a fulfilling stay. Villanovo offers its clients many villas all over the island to enjoy all the activities possible. Almost all villas have sea views and offer a splendid panorama. What to visit in Ibiza? 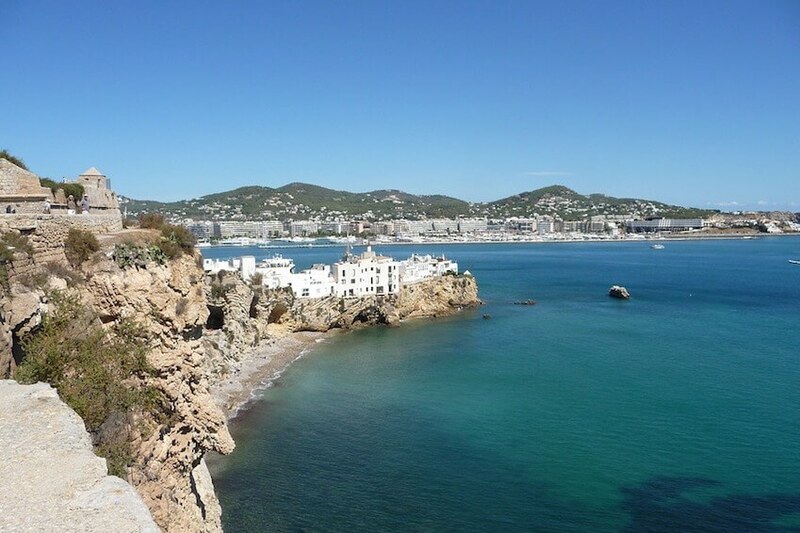 Ibiza Town: the most famous part of the island is full of entertainment. Around Barcelona street with its bars, cafes, nightclubs and nocturnal processions, everything is extravagant (Port district). Everyone dresses as they want and it’s never too original. The upper part of the city with its citadel (Dalt Vila) includes the main monuments and ancient remains. Santa Eularia: the meeting point of the marine jet set around the Nautical Port, the luxury shops, the architectural heritage (Romanesque bridge, fortress church...) and the panoramic view of Cala Llonga bay, San Carlos, Es Canar, Jesus and Santa Gertrudis with the only 18-hole island golf course nearby. Sant Antoni de Portmany: this former fishing village located in a bay and facing the island of Sa Conillera offers tranquillity during the day and festive vibes at night. Today, it is a real seaside resort that attracts by its wild beaches and its charming landscapes. 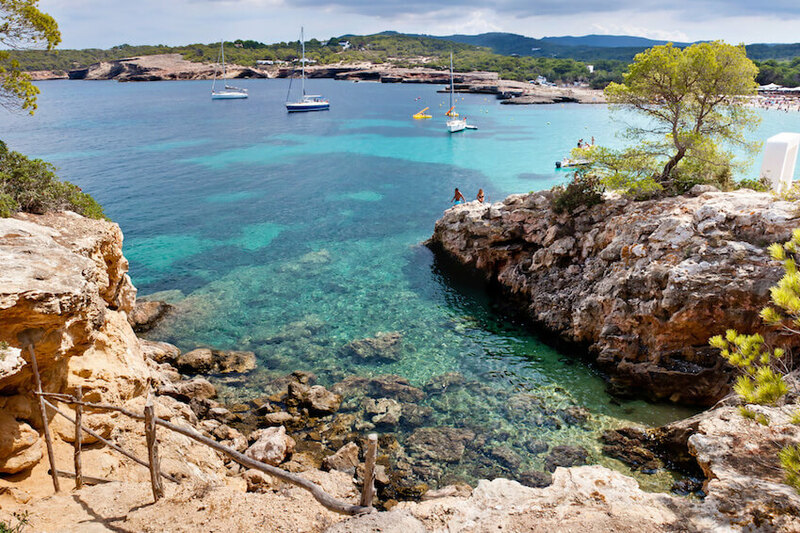 In particular, it is full of nice little corners like Cala Salada in the North of the island or the prehistoric cave of its Fontanelles. Jesús: In this vibrant village near Talamanca, the altarpiece of the Renaissance Gothic church is considered as the jewel of the island of Ibiza, designed by Rodrigo d'Osona el Joven of the Valencia School. Then, this place is the favourite of travellers for its wide choice of restaurants and bars like Bon Lloc or El Deseo. In addition, just minutes from the village, you will find a secluded cove, off the beaten track with crystal clear waters. Phoenician city of Sa Caleta: this archaeological site of the Balearic Islands has been classified by UNESCO and declared "Patrimony of Humanity", as the Punic Necropolis of Puig des Molins. These ruins represent the Phoenician colonisation of the Pityusic Islands. Port of San Miguel: on the North-East coast of the island, this port is conducive to summer concerts that are very famous. Then, it has a wide beach of white sand protected by cliffs, nestled in a creek. Nearby you can visit the Can Marça caves. San José: This traditional village in Western Ibiza is very nice and the beaches around are numerous and very beautiful, as are the beautiful coves. The destination is ideal for the family! San Juan: hippies headquarters, this rural village offers a spiritual and healthy lifestyle. Dominated by an 18th century whitewashed church, the rest of the village has Spanish airs with stone houses and sloping roofs. Water sports are put forward (sailing, kitesurfing, diving, snorkelling...) with more than 80 sites preserved, but also the many hikes and bike rides or horseback riding for all levels. Also, a golf course in Santa Eulalia will delight the most zen. Similarly, you can fly in the air for a paragliding or parasailing session. Then, gastronomy is very famous on the island. The products are fresh and local, the fish is king. You will be able to taste the traditional recipes of the island but also the more contemporary and gastronomic dishes of the chic restaurants. The recipes to discover absolutely are numerous and you shouldn’t miss out during your stay! A nice meal consists of tapas of olives, good bread, a fried octopus and aioli, then comes the dish watered with good country wine (peasant pottage "sofrit pagès" or fried pork “frita de cerdo" or fish stew "guisat de peix" or stew of fish and rice "bullit de peix and arroz a banda"). Dessert (test the famous pie of fresh cheese with mint - the flao) must be accompanied by a coffee "caleta" or a liqueur "hierbas ibicencas". - Anita's Bar and its unique atmosphere in San Carlos, for an aperitif or dinner. An institution! - Es Vedra: This unique island, symbol of Ibiza, is in front of Cala d'Hort. To land on the beach at the end of the day allows communing with family or friends in front of a beautiful sunset. We offer a number of beautiful villas for rent in Cala d'Hort in this absolutely superb island area. - Visit Ibiza in February and attend the almond blossom, where the island is adorned with white. - The Archaeological Museum of Dalt Vila, the Ethnological Museum of Eulalia, the Carthaginian, Roman and Arab sites scattered on the island, such as the Sanctuary of Es Culleram, in Sant Vicent, dedicated to the Punic goddess Tanit, the necropolis Puig des Molins or the Phoenician site of his Caleta. - The tranquillity and family spirit of Santa Eularia (Saint Eulalia). - The festive nocturnal atmosphere of San Antonio Abad or Portmany, the best discotheques of the island. - The sailing tour of the island. 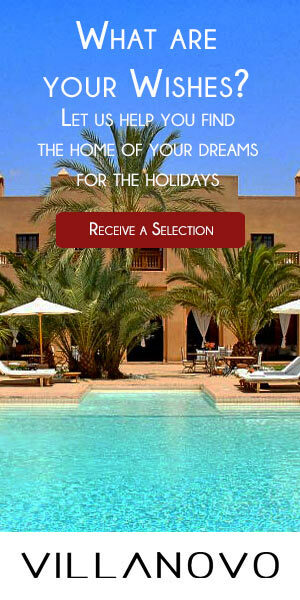 See you now on Villanovo to discover our selection of villa rentals in Ibiza.